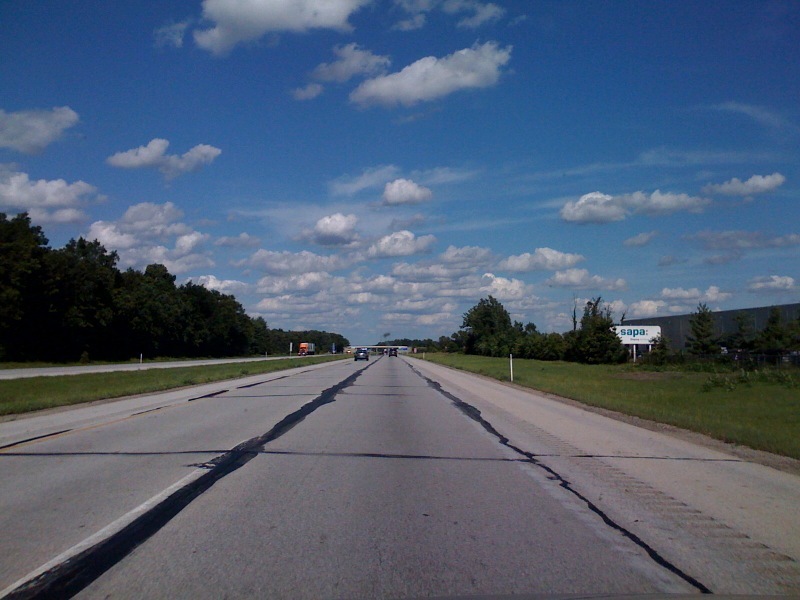 Road trip with a couple of teen girls from the West Coast: Took this Georgia O'Keefe photo whilst driving east. 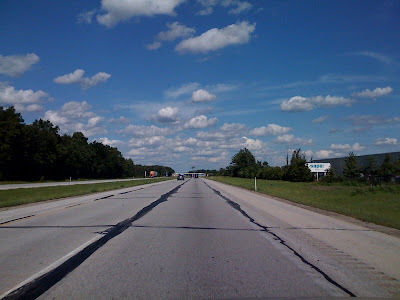 View: free. Stopped at Indiana Toll road rest stop where there appeared to be an ice shortage. 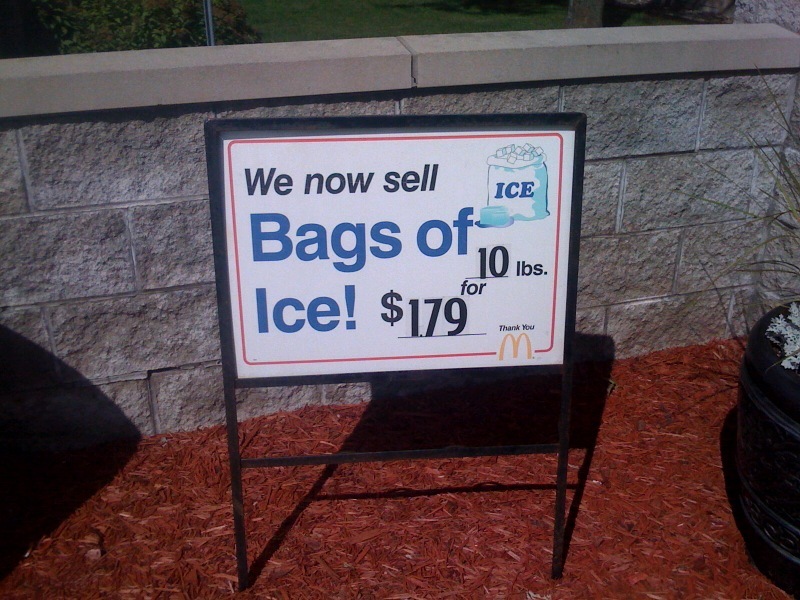 The McDonald's branded sign read, We now sell Bags of Ice! 10 lbs. for $179. A much closer look told us it was a shortage of decimals, or maybe ink.